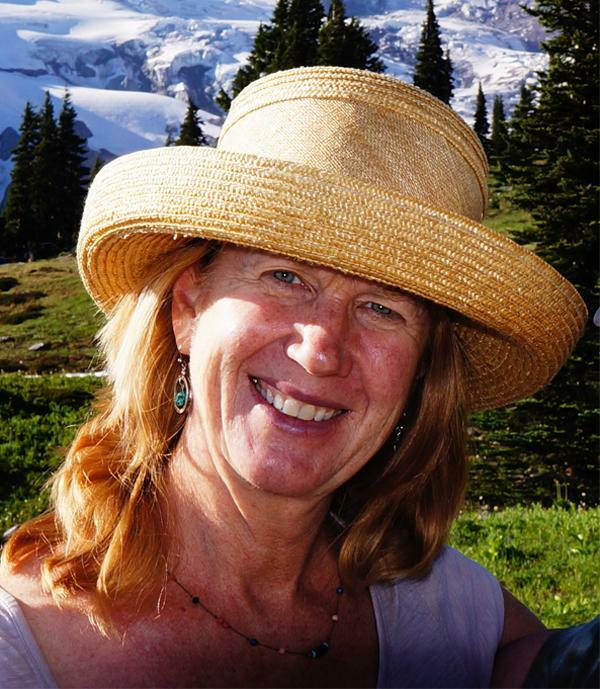 Tiny Treks is an outdoor school, founded in the United States 19 years ago, with sites in California and Washington State, where my school is. 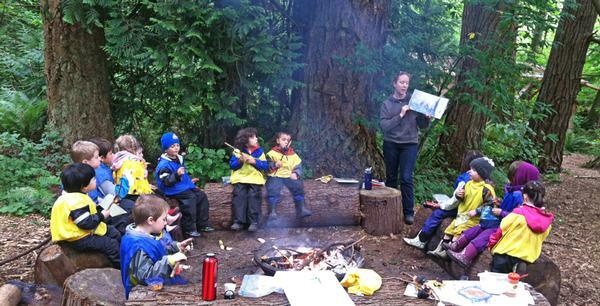 It offers programme of guided learning for young children which takes place exclusively outdoors. We take children from the age of two, starting off in our Parent Child Programme. We all go out for an hour and a half every week – each child with a parent – to explore and understand the natural world together. We go to a different park, lake or farm every week and I choose a theme according to what’s there. So for example, if I know a particular farm has a beaver dam, my theme might be beavers. We’ll talk about what a beaver is, where they live, we go see the dam and we talk about how they live. And it isn’t just the kids who learn. Probably without the parents even realising it, I’m teaching them things they can do with their children outdoors, and I’m showing them places they didn’t even realise were there. The success of that programme led to us launching a programme for three- to five-year-olds. With this age group, we go out twice a week for three hours at a time. We don’t do paper or pens. We don’t work on ABCs or 123s – it’s truly a forest kindergarten and, although we talk about what we’re seeing, it’s largely experiential. It’s about being deeply in nature, feeling and figuring out what to do. What’s the idea behind Tiny Treks? At the heart of it is a desire for children to fall in love with nature, but we also believe it’s really important for children to see adults doing real physical work. We’re all so busy nowadays. We have our cleaners, our gardeners. But we’re busy sitting at our desks. Kids don’t ever see their parents doing physical work in the way previous generations have done. They’re not seeing us digging the soil or chopping wood, so they aren’t learning that they need to move, to use their bodies. At Tiny Treks we’re all out there together, digging, weeding, planting seeds on the farm. The kids see us being enthusiastic when shoots of plants are coming through and that enthusiasm rubs off on them. They see us making beds for the plants and they come and help build stone circles around them. 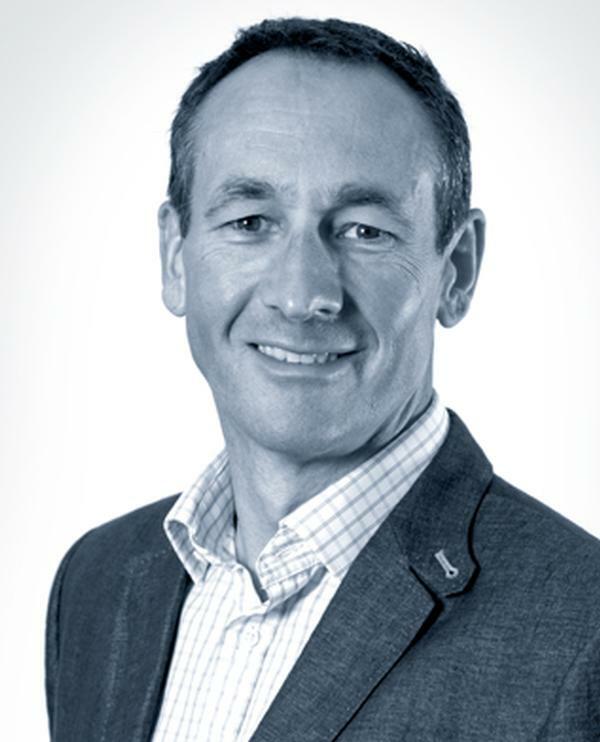 We don’t force the kids to do anything – there’s no “come here, do this”, no regimented activities – but they see what we’re doing and they naturally want to get involved. We also go out into the forest for ‘quiet time’ where they have time to explore for themselves. Kids today are given very little time to figure out what to do by themselves, and it creates adults who don’t know what to do without their computer or phone. So we step back and just let them explore – there’s very little guidance other than keeping them safe. At first they don’t know what to do, but they soon come up with their own plans. If they climb a tree, we don’t tell them not to. We might explain the physics of it – we’ll talk about how far they should go along a branch before it could break under their weight – but we do it in such a way that they think it through for themselves. It’s about giving kids the confidence in themselves and their bodies. We teach them to move. You can spot our kids among a group of their peers: they’re the ones who are so physically aware of how to climb it’s actually beautiful to watch. They move naturally and instinctively, they have core strength, they have tensile strength. And they don’t mind getting their hands muddy. It’s amazing how many children won’t do that nowadays. Are there any academic benefits to this kind of approach? Many of our kids also go to a ‘normal’ indoor pre-school, but I’ve had children who’ve only come to us and they’ve gone on to the next stage of schooling with no problems. They have outdoor knowledge as their basis for science and maths, and the listening skills of being around adults. In fact, it’s so successful that parents whose kids have been through Tiny Treks are now asking if we can run after-school classes at nearby elementary schools, and in response we’re starting a five- to seven-year-old class this autumn. It was full within days of announcing it. At Tiny Treks, children also learn to slow down – to be content doing the same activity for hours without saying “I’m bored”. That has a long-term impact: research by Queen Maud University College in Norway suggests that kids who have been to outdoor pre-school have higher levels of concentration all through elementary school. They’re able to focus on their school work for longer. 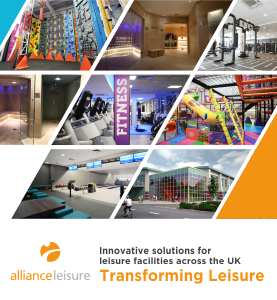 What might gyms learn from this? If you go into the woods and a branch has come down off a tree, kids will have great fun with it. So one idea, if you have outdoor space, is that you don’t turn it into a formal playground. Put out branches, tree stumps, an old boat – what we call “loose parts”. Put out unusual things that allow kids to play naturally. Seattle’s climate is like the UK’s, so when my wife suggested sending our three-year-old daughter to an outdoor school (outdoors 100 per cent of the time, all year), I thought it was a bit harsh. However, in the last two years I’ve seen my daughter fall in love with being outdoors: she’s now just as comfortable playing outdoors as indoors. She’s also learned a lot about nature, as her ‘classroom’ is a local forest which changes with the seasons. For example, salmon swim up the river next to their site in the autumn. The advent of the iPad and on-demand content means my kids’ favourite programmes are always available – it’s so easy not to move. But I believe that, to love health and fitness, you have to first love movement; enjoying the outdoors at an early age is one of the first steps to more movement-based play and learning. 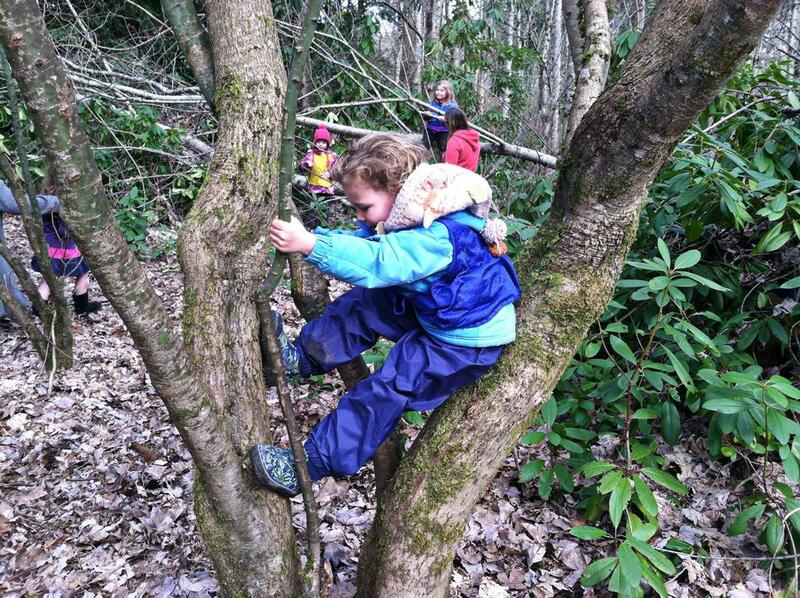 Children from 125 schools across the south-west of England are happier, healthier and more motivated to learn thanks to a new project commissioned by Natural England that has turned the outdoors into a classroom and helped schools transform ways of teaching. The findings were released last month by the Natural Connections Demonstration project, a four-year initiative to help schoolchildren – particularly those from disadvantaged areas – experience the benefits of the natural environment by empowering teachers to use the outdoors to support learning. The project – funded by Natural England, Defra and Historic England and delivered by Plymouth University – is the largest of its kind in England and has already helped more than 40,000 primary and secondary school pupils get out of their classrooms and into the outdoors – whether for a maths lesson in a local park or drama out on the school field. Ninety-two per cent of teachers surveyed said pupils were more engaged with learning when outdoors, and 85 per cent saw a positive impact on their behaviour. The majority of children also thought they learned better and achieved more when learning outside: 92 per cent of pupils involved in the project said they enjoyed their lessons more when outdoors, with 90 per cent feeling happier and healthier as a result. The project has also found that taking lessons outside can help motivate teachers, with 79 per cent reporting a positive impact on their teaching practice. Almost 70 per cent of teachers said outdoor learning had a positive impact on their job satisfaction and 72 per cent reported improved wellbeing. 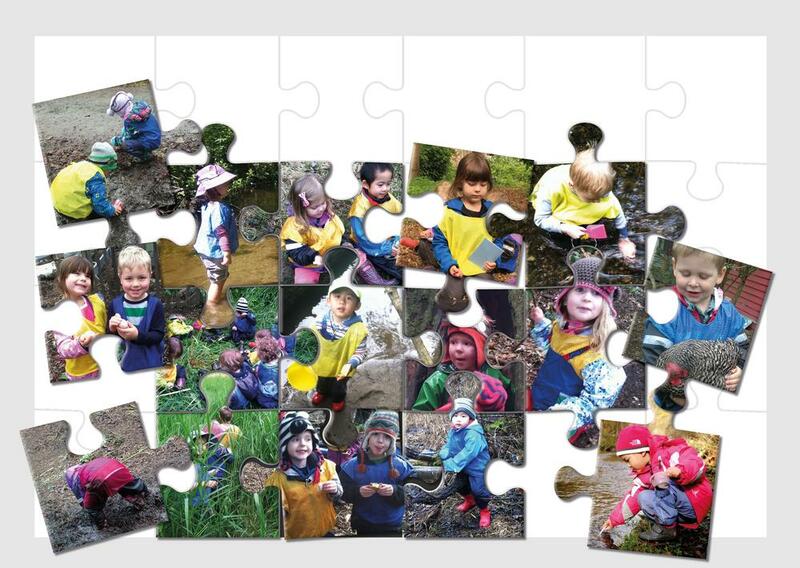 Natural England is now working with partners to help share the findings from this project, to support and enhance the provision of outdoor learning in schools across England. 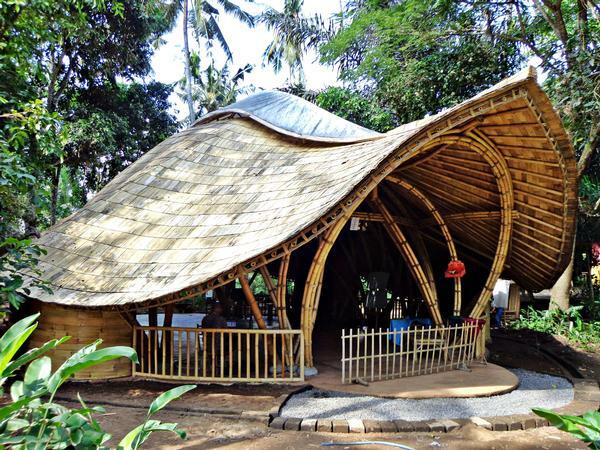 Twenty-five years later, that same creative boldness – the drive to turn seemingly fanciful ideas into reality – is central to Hardy’s own vision, as founder and creative director of Ibuku: a Bali-based company that designs and builds soaring, curving, beautiful, solid and sustainable structures almost exclusively from bamboo. 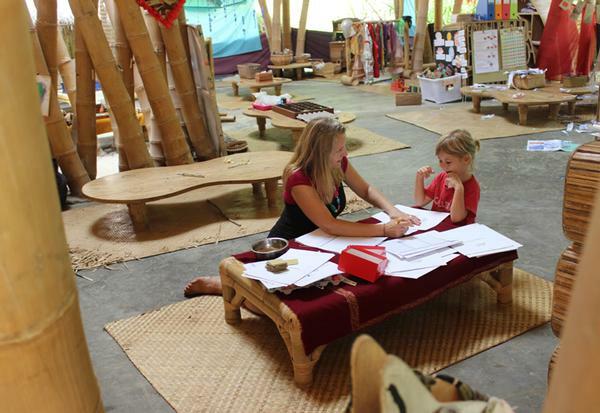 Her father and stepmother are inspired by the same agenda, and conceived the Green School: a campus comprised entirely of open-sided, sustainable bamboo buildings. The school has a similarly avant-garde curriculum designed to help children “to cultivate physical sensibilities that will enable them to adapt and be capable in the world… to develop spiritual awareness and emotional intuition, and to encourage them to be in awe of life’s possibilities”. Ibuku – which translates roughly as ‘Mother Earth’ – has played its part. 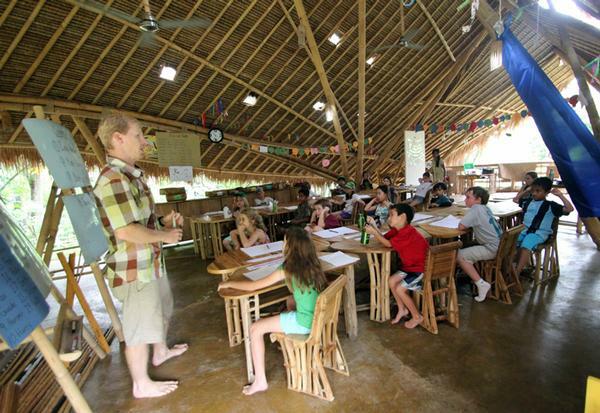 Over the past five years, the firm has built close to 70 permanent bamboo structures on Bali, including 15 new classrooms at Green School. The Greene School is a new educational complex being built in Florida, US – named after the school’s founders, philanthropists Jeff and Mei Sze Greene. Based on the concept of a learning garden – an organic space for discovery and growth – the project aims to provide students up to grade 4 with an environment in which they can seamlessly experience both technology and nature, inside the classroom as well as outside. “Fostering a sense of community has become one of the most important goals in the design of new teaching spaces. The more we can share spaces, collaborate and exchange ideas with each other, the more creative we get”, says Carlo Ratti, a founding partner of Carlo Ratti Associati, the firm that designed the new school. The school has been designed around two central shared spaces: the ‘piazza’ and the garden. In addition, all the classrooms open to the outside. There’s also a large green space next to the school building which includes organic gardens, and the school’s library is located in a cabin in the woods. At Long Crendon school in Aylesbury, UK, an outdoor learning space for its year 1 to 6 students has become a way of life. The whole ethos is that kids should be outdoors as much as possible, in all weather: students of all ages take part in supervised forest school activities in a wooded area alongside the playing field two days a week – for example, climbing trees and learning how to light fires and make charcoal. Many of the outdoor activities have been designed so they link to curriculum subjects, thereby complementing classroom lessons. The school believes this plays a large role in its ongoing exam success – Long Crendon consistently scores highly on this front – as well as its students’ improved mental health. The idea of the forest kindergarten originated in Scandinavia, with the first being founded by a Danish woman, Ella Flatau, in the 1950s. However, it’s in Germany that the concept has really taken hold. 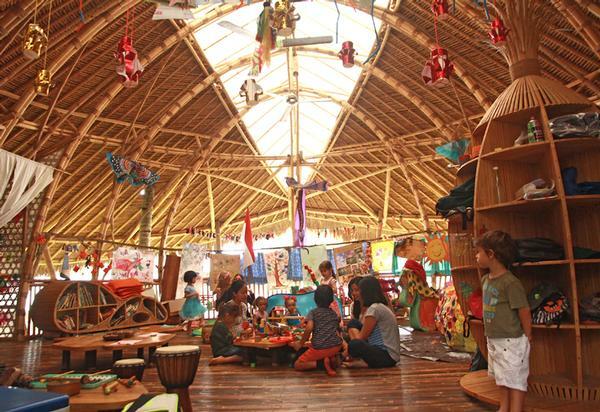 After a few unofficial schools opening through the 70s and 80s, the movement gathered strong momentum through the 1990s; the country now has well over 1,000 forest kindergarten. Austria and Switzerland have now also latched onto the idea. The model is similar to that of Tiny Treks, with small groups of children – up to the age of six – spend half of each day outside getting close to nature… climbing, playing and getting muddy. And the benefits? Research by the University of Heidelberg, Germany, assessed children in their first year of elementary school, comparing those who had attended forest kindergartens with those coming from standard kindergartens. In six categories – including cognitive tasks, social behaviour, creativity and physical ability – Waldkindergarten graduates significantly outperformed their peers.